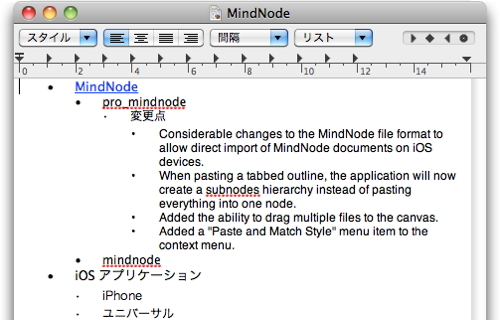 Considerable changes to the MindNode file format to allow direct import of MindNode documents on iOS devices. 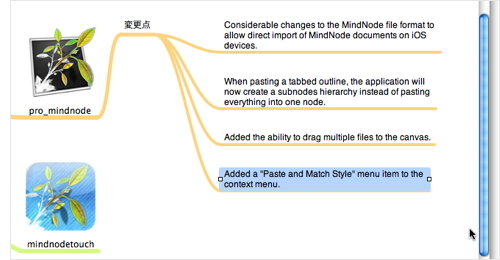 When pasting a tabbed outline, the application will now create a subnodes hierarchy instead of pasting everything into one node. Added the ability to drag multiple files to the canvas. Added a "Paste and Match Style" menu item to the context menu. 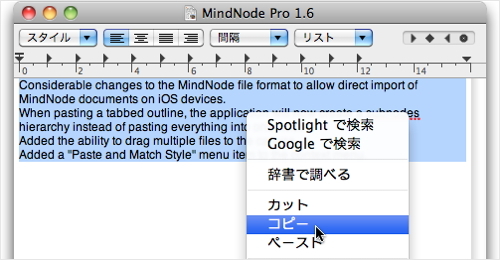 New shortcut for the export menu item. Correctly handle PDFs with uppercase file extension. 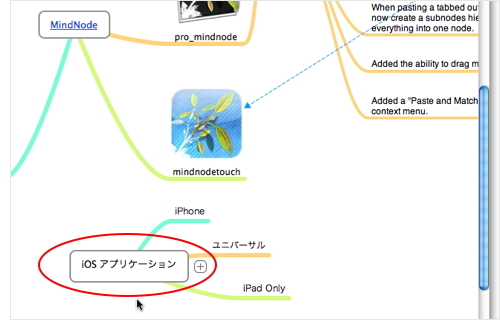 Fixes an issue related to sending a document via Email to iPhone. This feature is now also considered deprecated and it will be removed in an upcoming release. 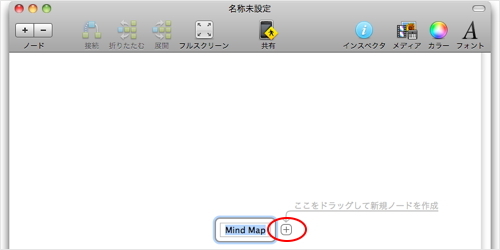 Fixes a crash when using copy and paste on a large map. Resolves an issue related to suggested filenames during saving. 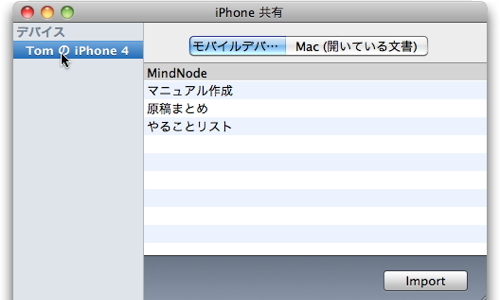 Correctly encodes asian characters during plain text export. The buildin help is working again. 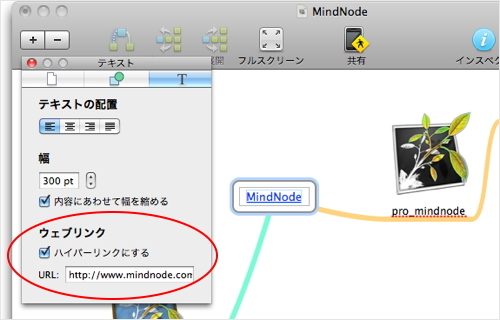 Fixes a crash related to quickly generating new nodes. 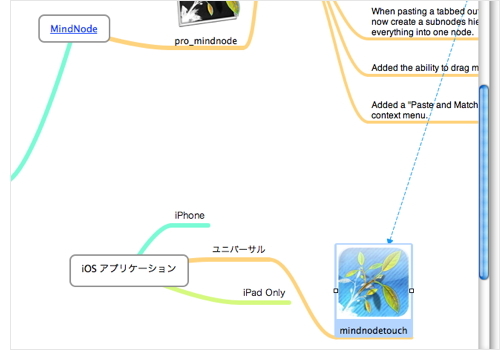 Correctly restores the visible canvas location and scale factor when importing a MindNode (touch) document. 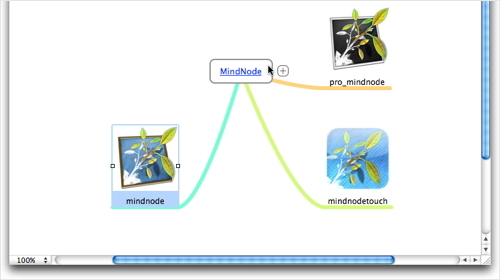 Resolves a node positioning issue when creating a new node while Smart Layout is enabled. Fixes a crash related to canceling the creation a new node with ESC. 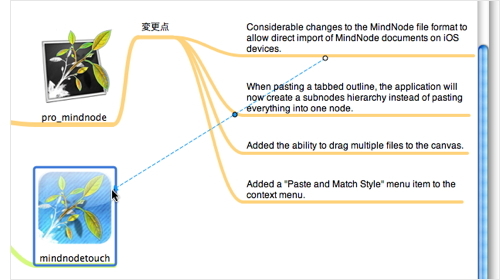 Improves saving on larger mind maps. 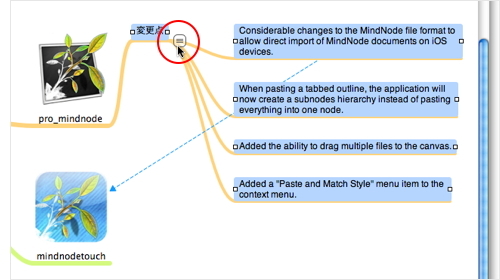 Resolves an issue related to printing folded nodes. 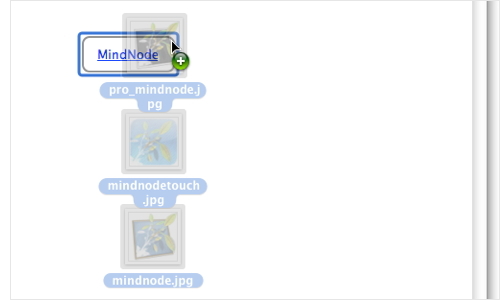 Correctly resize the canvas when folding nodes. 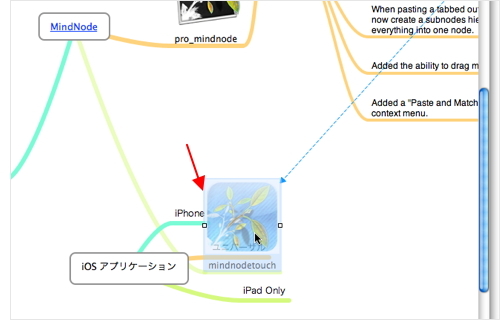 Fixes a crash when using the iPhoneSharing feature. Resolves an issue that caused the incorrect setting of cross connection stroke widths. This issue sometimes also lead to a crash. The iPhone sharing window will now always move to front.